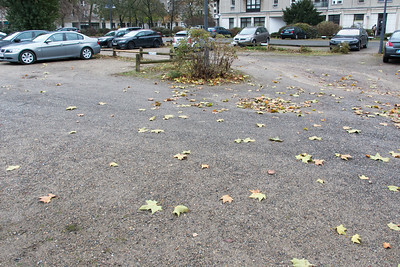 The location of Hitler's personal bunker, where he committed suicide, is now, fittingly, a parking lot near Potsdamer Platz. 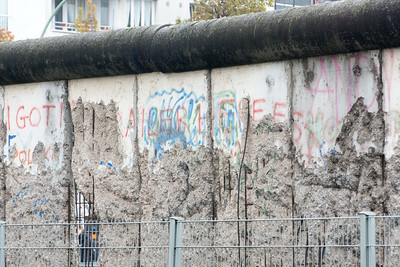 The bunker was destroyed and sealed in 1989. Only a small sign erected in 2006 at one corner gives a history the area. 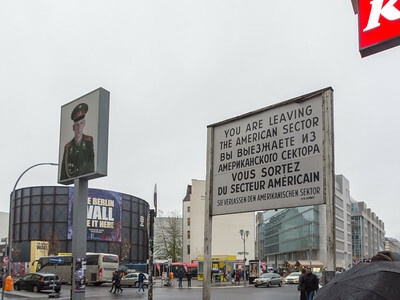 Mall of Berlin...Germans are SO creative with the names of places. 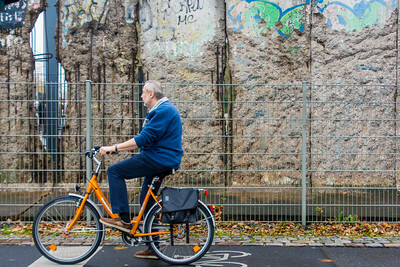 Photo mural in Platz des Volksaufstandes. 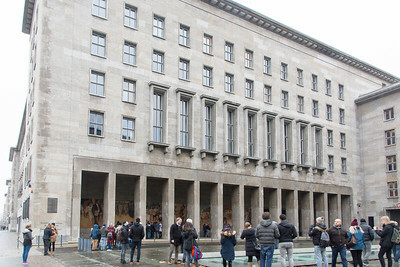 The former Ministry of Aviation, the Luftwaffe, built during the Third Reich is now equally despised as the Ministry of Finance, its taxation and revenue department. 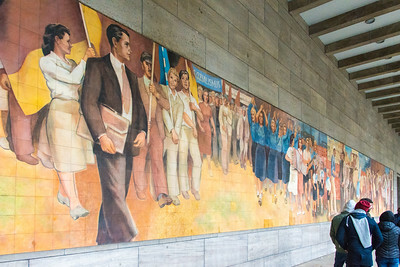 Communist propoganda mural on the current Ministry of Finance building. 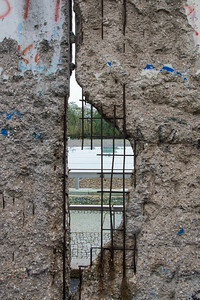 A section of the wall remaining as a memorial. 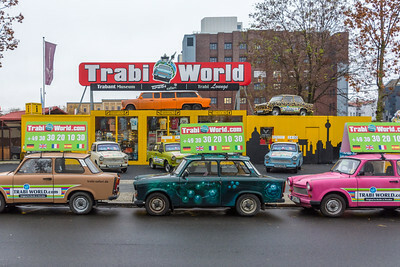 Museum devoted to the Trabant automobile, known as a Trabi. Buyers would wait for years to get one. 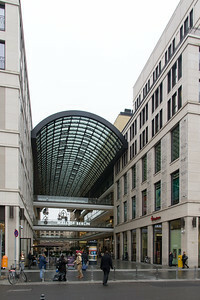 There is still a distinctive change in the buildings and businesses when going from West to East. 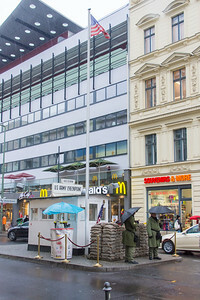 Checkpoint "C" better known as Checkpoint "Charlie". Note the western businesses in the American Sector. 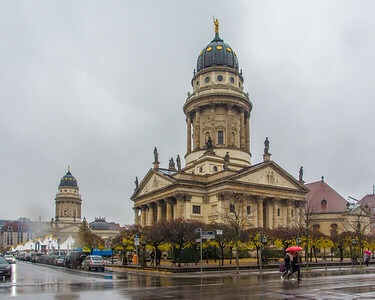 The French Church and its brother, the German Church down the road. 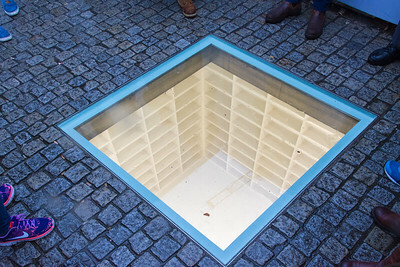 Memorial to May 10, 1933 Nazi Book Burning in Bebelplatz. 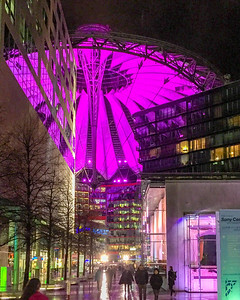 Unique roof of the Sony Center in Berlin. 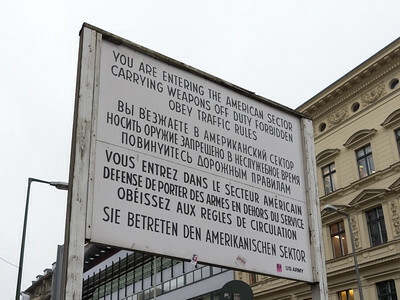 One of hundreds of plaques describing the rise of the Third Reich. The second paragraph sums it up nicely. 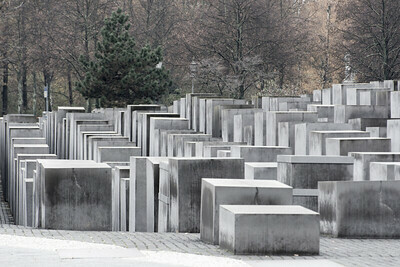 "Nazi terror targeted former opponents of the Party. 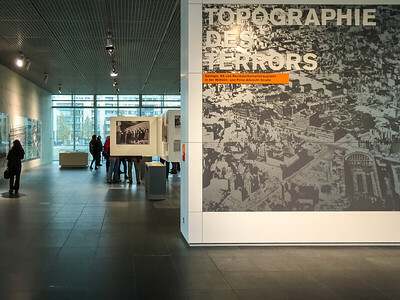 Oppositional journalists, writers, and artists were terrorized, Jews vilified, and civil servants loyal to the constitution deprived of their posts. The poycot of Jewish-owned businesses on April 1, 1933 was justified as a response to foreign propoganda. The trade unions were suppressed in May 1933. 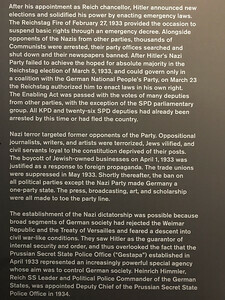 Shortly thereafter, the ban on all political parties except the Nazi Party made Germany a one-party state. 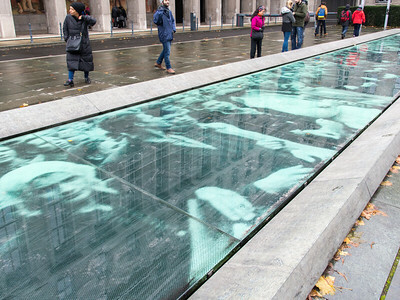 The press, broadcasting, art, and scholarship were all made to toe the party line. 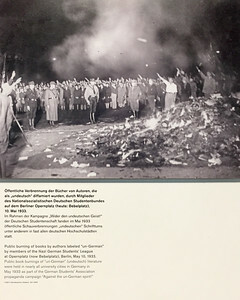 Public burning of books by authors labeled "un-German" by members of the Nazi German Students' League at Opernplatz (now Bebelplatz), Berlin, May 10, 1933. 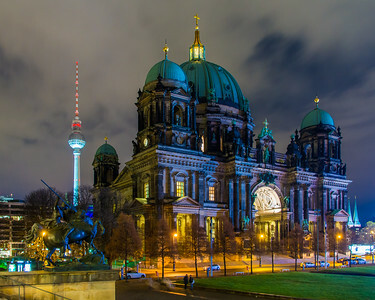 Berlin Cathedral Church and the Berlin Fernsehturm in the background.